Last week, the Medical Board of California ordered a 35-month probation for Dr. Bob Sears, an Orange County pediatrician who is best known for hawking an “alternative” vaccination schedule for young children, promoting the unproven theory that vaccines cause autism, and being a champion for parents who seek to claim exemptions from school vaccination requirements. The revocation of Dr. Sears’ medical license was stayed by the Medical Board, which allows him to continue practicing medicine, as long as he follows certain requirements of his probation including taking Board-approved medical education and ethics classes, and allowing a Board-approved monitor to watch and report on his medical practices. Through this disciplinary order, the Medical Board is providing Sears with a clear warning against future misconduct. “When physicians practice this type of substandard care, it places children’s lives at risk. Dr. Sears’ bias against vaccines flies in the face of overwhelming evidence of the safety and necessity of timely vaccinations,” Amy Pisani, MS, executive director of Every Child By Two told me. Like many moms, I was an avid follower of the advice of Dr. Bill Sears, the father or Dr. Bob Spears and the well-known pediatrician who offered advice to parents on child rearing and attachment parenting. 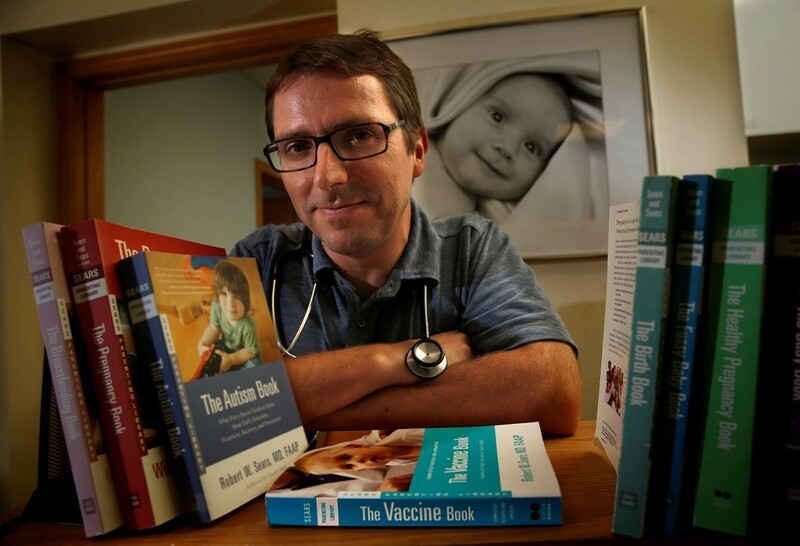 Over the last decade, it has been very disturbing to see Dr. Bob using his father’s name and the Sears Parenting Library to sell his books, which contain inaccurate vaccination information and fuel parents’ fears about vaccines. Dr. Bob Sears’ “alternative” vaccination schedule, which encourages parents to either skip or delay recommended vaccines for their children, is dangerous and ignores the importance of following the Centers for Disease Control and Prevention’s (CDC’s) recommended schedule. The CDC sets the U.S. immunization schedules for children, teens and adults based on recommendations from the Advisory Committee on Immunization Practices (ACIP). The ACIP, which is made up of medical and public health experts, carefully considers many factors, including the safety and effectiveness of vaccines, before recommending a vaccine for use. As a result, the CDC’s recommended childhood immunization schedule (from birth to 18 years old) is the ONLY vaccination schedule for children and teens that is rigorously tested for safety and effectiveness. No “alternative” or “non-standard” schedule has ever been tested. The CDC’s recommended schedule is also endorsed by the leading medical groups including the American Academy of Pediatrics (AAP) and the American Academy of Family Physicians (AAFP). The vaccines in the schedule are carefully timed to provide protection to children when they are most vulnerable to diseases, and when the vaccines will produce the strongest response from their immune system. Learn more about how the vaccine schedule is determined and why it is never okay to delay a child’s vaccines. Thank you for providing such a clear, objective, matter of fact summary of this case. Finally, a regulatory board takes a real stand against docs who profit from anti-vaccination propaganda! Why does the Board think reeducation will impact Dr. Sear’s lack of ethical / evidenced-based practice? hurray!! finally someone with some back bone to discipline even a doctor who has gone a little wacky and does not practice safe or effective medicine for any child that he sees!! love love love! !